Design and download patterns in your own size. 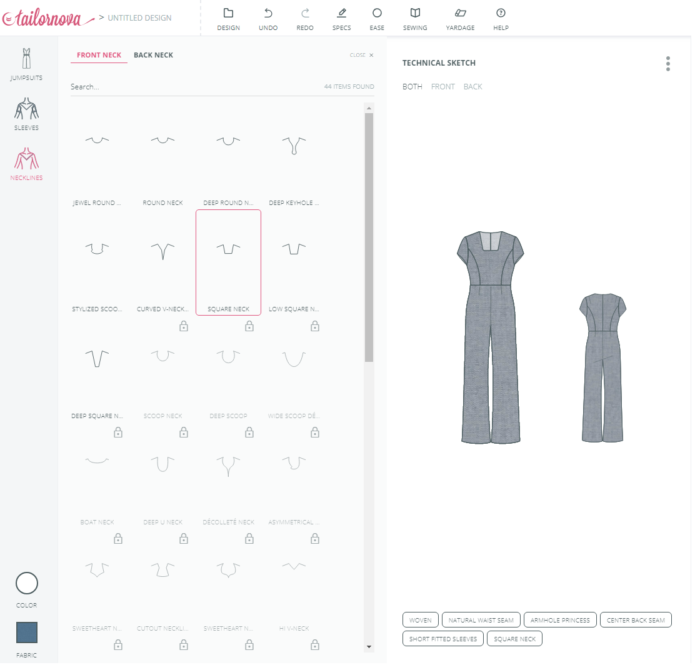 From Bootstrap Fashion, the new online service Tailornova is an interesting take on custom patterns. 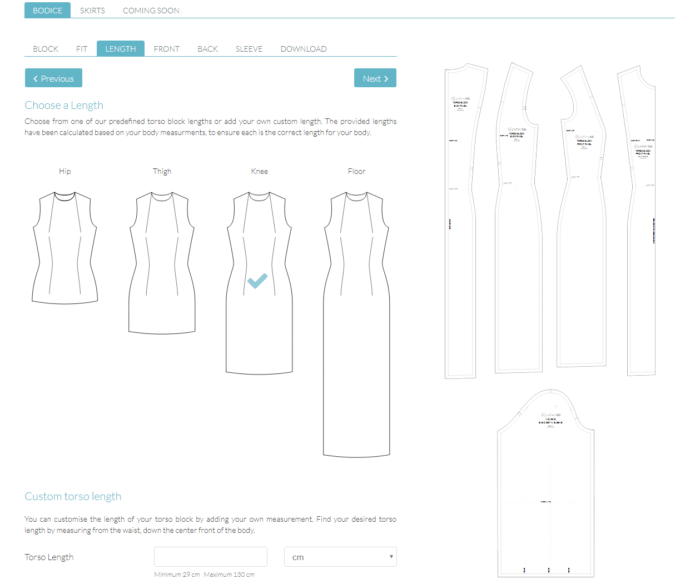 With Tailornova, you can create patterns that fit your measurements. You also can create patterns from scratch based on construction details. You can dictate length, silhouette, neckline, closure, sleeve length and style, and so much more. The software allows you to audition colors and fabric patterns on the digital image of the pattern. Each pattern includes illustrated instructions. 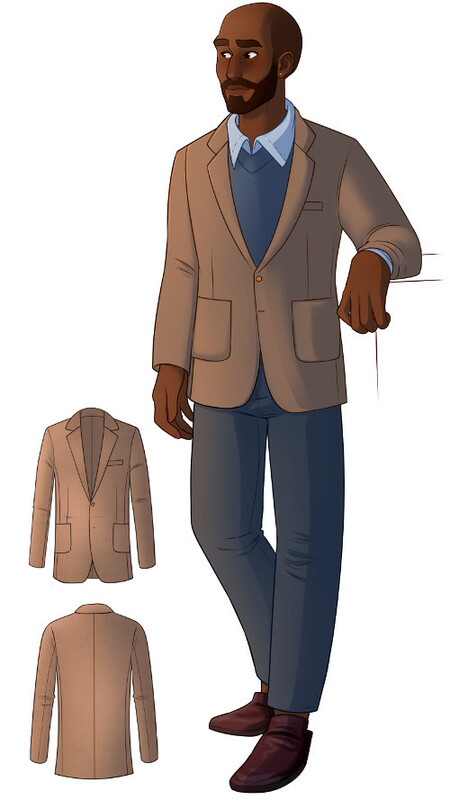 The illustrations may not perfectly correspond to the garment you design, but they will accurately depict the techniques explained. This service is a monthly subscription. The base package ($24/month) includes the ability to create and download eight patterns a month, with pattern rollover of up to 125 patterns if you don’t use all of them each month. The base package is for personal use only, but if you want to use Tailornova for your business, the Artisan package ($39/month) provides the same number of monthly patterns with an expanded collection of pattern design features and fabric prints. If you need more than that, the Designer Pro package ($79/month) has unlimited pattern downloads on top of everything in the other packages. Though only women’s patterns are currently available, the company plans to add menswear to the service by spring 2019. Tailornova’s interface is user-friendly and intuitive and provides exciting opportunities for design. 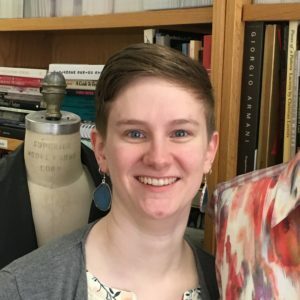 FreeSewing is a site that provides free, customizable women’s wear and menswear sewing patterns. The patterns are created by other users, and there fewer patterns available than in some custom patternmaking services. However, the patterns are varied and will appeal to a range of customers. 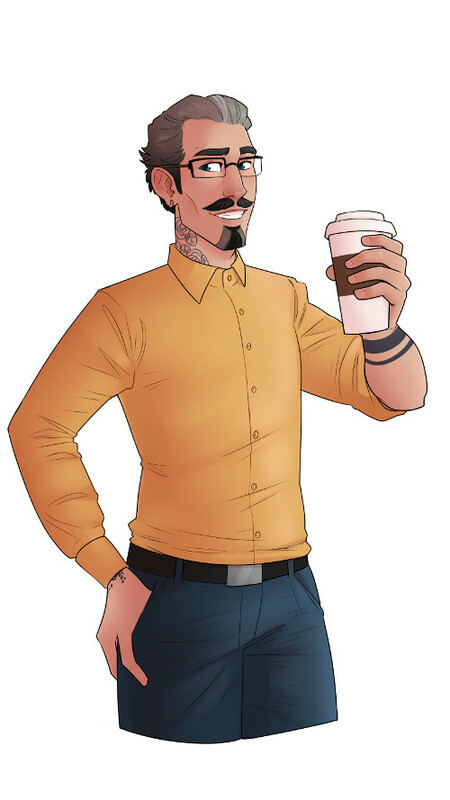 For example, there are several casual or basic shirt patterns, but there are also men’s briefs, an underbust corset, a no-waste blouse, and more. More patterns are added several times a year, once they are tested and approved by the site’s administrators. Most of the patterns available have an option to customize design features and size. The Simon men’s shirt from FreeSewing is highly adaptable. You can change the collar shape and height, cuff style and size, shirt length, and much more. PatternLab offers a variety of customizable pattern blocks. Currently available basic blocks are bodice, torso, and skirt, which enable you to more accurately alter commercial patterns or draft your own. The pattern pieces of these blocks are not adapted from existing patterns but are drafted based on your measurements. You can choose dart styles and positions; add princess seams; add center-front or center-back seams for closure options; and subtract or add ease in key locations such as bust, waist, and sleeve cap. Pattern blocks for skirts, pants, bathing suits, corsets, and more are in development. Blocks range in price from £4.99 to £7.99. PatternLab also has free online lessons in pattern drafting using Adobe Illustrator and advice on fitting different parts of a pattern. Pattern Lab’s interface is user-friendly, allowing for easy customization of its basic blocks. Choose from different lengths, dart options, and more to create your block. At my age and experience it would really have to be super to attract me at all. I don't make a garment each month or need to correct the patterns I already have in my stash. So for me, that would most likely be easily done without. I will use my money for fabrics or tools.